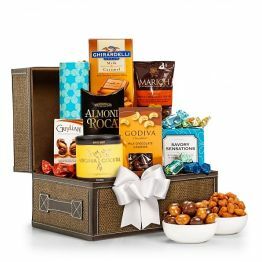 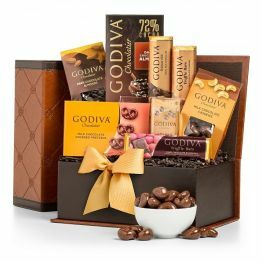 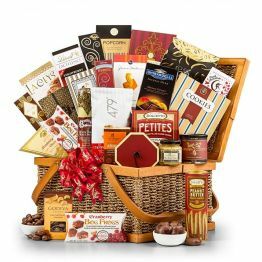 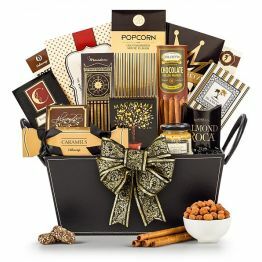 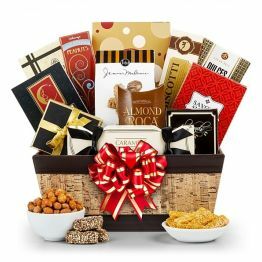 This hamper will earn you 242 Hamper Points. 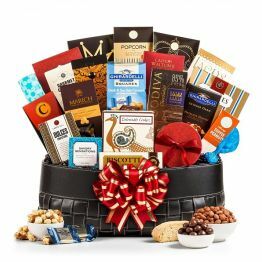 Spicy Snack Mix 2oz, Lemon Raspberry Cookies 5oz, Almond Crunch Popcorn 4oz, Gourmet Seasoned Popcorn 1oz, Aaron Bell Seasoned Pretzels 4oz, Chili Pistachios 6oz, Hathaway's Toffee Peanuts 2oz, Bellagio Chocolate Truffle Cocoa 1.25oz, Gourmet Coffee Blend 1.5oz, Tortuga Rum Cake 4oz, Spanish Olives 2oz, Mixed Vegetables Grilled Antipasti 7.9oz, Salami Con Vino 7oz, Northwoods Smoked Gouda Cheese 6oz, Sun Dried Tomato Pesto Cheese Biscuits 4.5oz, Cheese Spreader. 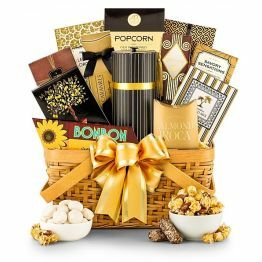 Presented in a Chic Woven Basket.